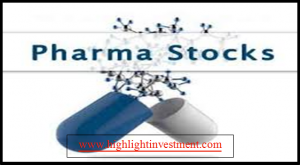 Shares of Sun Pharma gained 2% on the NSE in morning trade after its US subsidiary Taro Pharma reported strong quarterly results. Taro Pharmaceuticals posted net sales of $176.4 mn, an increase of $20.9 mn, mainly driven by a 13% increase in overall volumes. Its gross profit of $117.5 mn (66.6% of net sales compared to 66.2%) increased $14.6 mn. Net income attributable to Taro was $93.5mn compared to $18mn, a $75.5mn increase, resulting in diluted earnings per share of $2.40 compared to $0.45. Excluding the impact of the aforementioned one-time tax re-measurement in the prior year quarter, net income attributable to Taro would have been $54.8mn, or diluted earnings per share of $1.37.